Coach Inc. changes name to Tapestry: Misplaced alarm? Coach, a New York-based house of modern luxury accessories and lifestyle brands, has announced today that it will be changing its name to Tapestry, effective 31 October 2017. This comes months after the acquisition of Kate Spade & Company to create “modern luxury lifestyle brands, defined by authentic, distinctive products and fashion innovation”. The company had then said that the acquisition of Kate Spade was an important step in Coach’s evolution as a customer-focused, multi-brand organisation. The leadership team at Coach, Inc. partnered with renowned brand agency, Carbone Smolan Agency, on all aspects of the rebrand. Meanwhile, Victor Luis, chief executive officer of Coach said three years ago that Coach laid out its vision to transform Coach, and announced its intention to grow beyond the Coach brand. “Through the execution of our strategic plan and with the acquisitions of Stuart Weitzman in 2015 and Kate Spade & Company just this summer, we have realised these goals. We are now at a defining moment in our corporate reinvention, having evolved from a mono-brand specialty retailer to a true house of emotional, desirable brands, all leveraging our strong operational foundation,” he said. Commenting on the name, he said the company was looking for a name to reflect these values while also expressing the cultural diversity of its people and brands for today and tomorrow. “In Tapestry, we found a name that speaks to creativity, craftsmanship, authenticity and inclusivity on a shared platform and values. As such, we believe that Tapestry can grow with our portfolio and with our current brands as they extend into new categories and markets,” he said. The name is said to embody its creative brand-led and consumer-focused business, while also representing the deep heritage of the group. Most importantly, we are establishing a strong and distinct corporate identity, which enables our brands to express their individual personalities and unique language to consumers. He added that each of the brands under the parent company has a unique proposition, fulfilling different fashion sensibilities and emotional needs within the very attractive and growing US$80 billion global market for premium handbag and accessories, footwear and outerwear. “At the same time, our brands are also built upon the shared values of optimism, inclusivity and innovation,” he said. Graham Hitchmough, APAC CEO of Brand Union, said the move was a logical one and “a clear, if unspectacular, naming strategy”. The individual retail brands will retain their own names and equity, and the Group now reflects a multi-brand integrated operation, with an expertise in textiles and craftsmanship. “It allows for further expansion and acquisition without being unduly tied to any one of their portfolio of brands,” he added. “It’s essentially a rational attempt to distance the corporate entity from any individual brand as they continue to expand and want the corporate entity to be distinct, but still reflect some of the connecting values of the individual brands in the portfolio – which tapestry does reasonably well,” he said. “Is Coach really stampeding off into the sunset? This might just be a case of ‘hold your horses’ before getting on the ‘wagon of discontent’ about a name change to a favourite brand,” said Nick Foley, Southeast Asia president of Landor. He added that there’s a big difference between changing the name of a retail conglomerate listed on Wall Street, and changing the name of a retailer located on the high street. “It’s a small audience that are going to be affected by the corporate name change to Tapestry,” he added. By all accounts, loyalists of the Coach retail brand will not be affected by the corporate name change. The Coach retail brand continues to perform well and occupies a distinct and desirable position in the minds of its target audience,” he added. Name changes and big shifts in a brand’s visual identity have an alarming propensity to bring out the ire of die-hard brand loyalists. This is completely understandable, given the bond that is formed with the brand, he explained. “Let’s face it; most of us don’t like change. Particularly when we’re not consulted on it. This appears to be a case of Coach Inc not sharing the rationale behind the corporate name change. Once consumers understand the Coach retail brand is not changing, we can expect the dust to settle,” he said. This is a case of misplaced alarm. It is simply good brand architecture management. By changing the corporate Coach brand to Tapestry, Crombie explained that the brand managers have chosen not to confuse or diffuse their consumer-facing Coach brand. This comes as the company grows its portfolio of unique luxury brands, which currently consists of Coach, Kate Spade and Stuart Weitzman. “Whether you like the name or not, Tapestry is a workable metaphor for the nature of the corporate brand – that being many rich-coloured threads coming together to form a bigger picture or design,” Crombie added. As such, this approach allows the company’s consumer brands to retain their unique identity and positioning, whilst providing a collective name for the overall corporate entity. “It is not dissimilar to the shift from Google Inc. to Alphabet, to accommodate heir expanding portfolio of brands – Google X, Nest, Fiber, Google Capital, Calico, Google Ventures etc,” Crombie said. He added that this name change will not cause any damage to the value of Tapestry (nee Coach) as a company. This is because investors are a small, tight-knit and well-informed community who will quickly realise this is a smart move. Also weighing on the matter was Jane Perry, managing director of Geometry Global Singapore, who also agreed that the controversy surrounding the name change feels a bit like an overreaction. 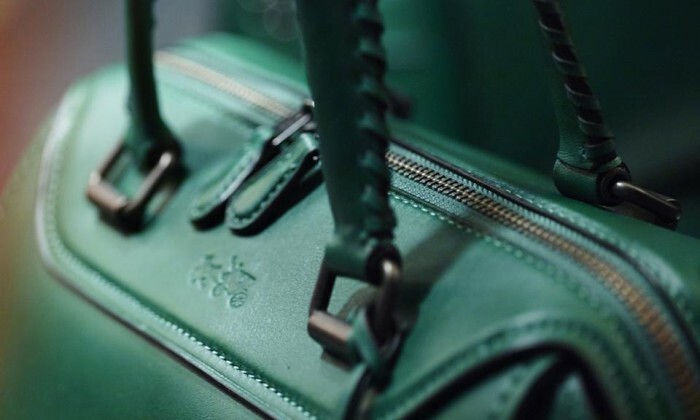 It’s a good lesson in PR for Coach in managing its loyal consumers. “Much like luxury goods conglomerate goliath LVMH, Tapestry is merely a holding company name,” Perry said. While announcement has been met with some concern, and share prices have been affected as a result, Perry is of the view that it is nonetheless an exciting time for Coach and Tapestry. As such, brand portfolio expansion should be expected. “For me, the biggest question mark is around the name itself. Tapestry feels old, and the rationale regarding craft, and interweaving multiple brands together feels predictable,” Perry said. Following the World Cup, English speaking consumers worldwide have also become more aware of Chinese brands such as Wanda Group an.. The account, which has a verified Twitter badge, has since been taken down. ..